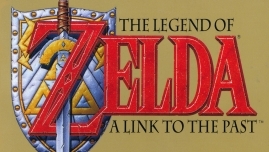 Glitches are nothing new in the Zelda series, and glitches for old school games are generally well documented. The glitch we’re posting about today is a rather common glitch in many different games, but how to execute it perfectly varies game to game. This particular glitch is interesting because how the game itself was coded, allowing you to skip all the way to the Triforce at the end very shortly into the experience. AurumDude from “What a Glitch!” shows us exactly how to perform this glitch and talks about his own sub 4 minute completion times. Check it out!